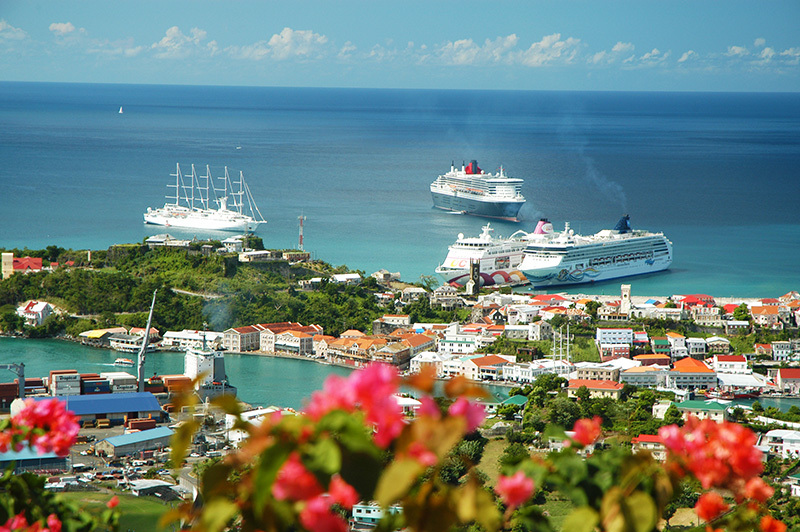 The leading cruise review site has recognised Pure Grenada, Spice of the Caribbean as one of the top 5 Southern Caribbean destinations for cruises. CruiseCritic.com recently announced the winners of its 2nd annual Cruisers’ Choice Destination Awards based entirely on consumer ratings submitted to the website for trips within the last year. The awards name the top cruise destinations across 15 regions worldwide. Ahead, of the upcoming cruise season, Pure Grenada is already buzzing with a number of new onshore excursions to cater to every taste. These attractions include culinary tours that introduce visitors to Grenada’s world-famous spices, hiking tours to some of Grenada’s breathtaking ridges in the north and the Grenada High Wire Canopy obstacle course set in our mystic rain forest. ‘Bean To Bar’ chocolate tours, pristine white sandy beaches, gorgeous waterfalls, underwater adventures and much more are there to be enjoyed.